What's it like to apprentice for Anyone Can Learn To Code's web agency The Difference Engine? 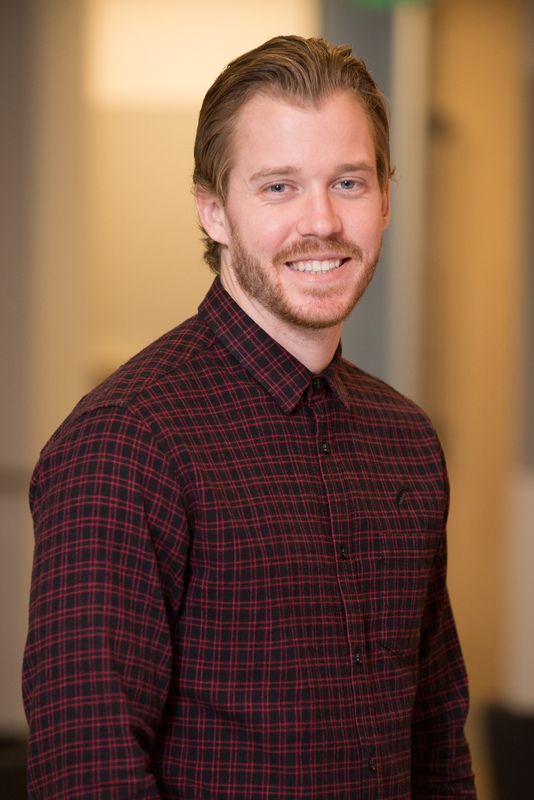 Find out firsthand in a Q&A from Course Report with ACLTC alumnus Luke Evans, who graduated in January from our San Francisco bootcamp. Luke talks about his transition from chemical engineering to a career in web development, what the learning experience was like at ACLTC, and the projects he's worked on during his apprenticeship, including a web app for Women Who Code. Read on for an excerpt or head to Course Report to check out the full Q&A! CR: Tell us about the apprenticeship [with The Difference Engine]. How long was it? LE: We started Anyone Can Learn to Code on site on November 1, 2015; finished on Thursday January 16, 2016, then started the apprenticeship the following Monday. We had our first group meeting, set up our first two-week sprint, then started working immediately. Ours was six weeks, but they’ve changed it now so it’s 17 weeks with the flexibility to commit to six-, four-, or three-week segments. CR: How did the projects work in the apprenticeship? How were you assigned work? LE: We were placed in groups of two or three and each had a project. We used Trello and Slack to communicate and assign tasks. Instead of stand-ups in the morning we did Slack ups. My group usually met up in person on weekends or once a week for five or six hours to work together, then if anybody was stuck somewhere we could help find a solution. CR: Do you think the fact you did the ACLTC apprenticeship made it easier to find a job? LE: Yes. It shows you've worked on a live project, and also sets you apart from other people who have graduated from a coding bootcamp, who don’t have the opportunity to do real-world work. Anything that can set you apart helps. As anyone will tell you, getting your first job or your foot in the door is very difficult. CR: What advice do you have for people making a career change after a coding bootcamp, who are maybe considering a post-bootcamp apprenticeship or internship? LE: I would say make sure it’s something you’re passionate about, because it takes a lot of time, and it’s not an easy transition. I know software engineers make good money, but if that’s your only reason for becoming a software engineer, that is probably not the right reason. There is going to be a lot of work and you need to have the passion and drive to get through it. I was highly skeptical of the whole situation before taking it and thought about it for a couple of months before making the decision to do it. I thought, can this be true that you can do a 15-week course and apprenticeship and then get a job in the industry? It goes against your usual idea of education – having to go through four years of college to get to an opportunity like this. If you’re thinking about it and you’re going to choose a coding bootcamp I would highly recommend Anyone Can Learn to Code. The people who work there are great and very helpful and I was successful in changing careers pretty quickly after finishing the bootcamp, so I can’t speak highly enough of it. Check out the rest of Luke's Q&A on Course Report!